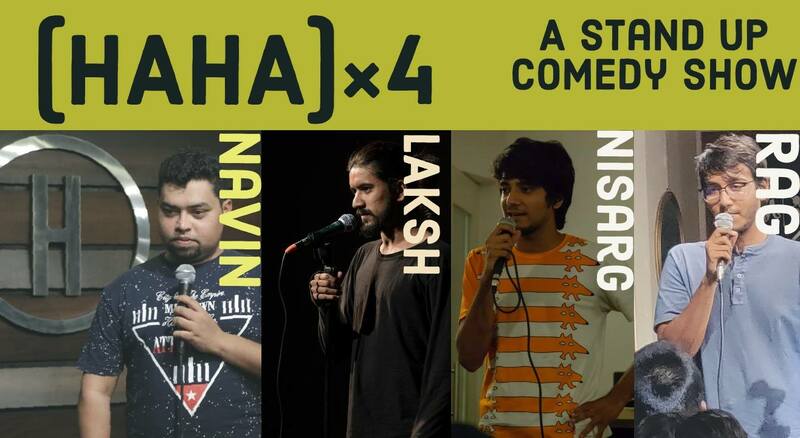 Haha*4 is a standup comedy show where 4 comedians will put up an hour long show. Here you will witness local as well as comics from other cities. In this edition we’ve Navin W Noronha from Mumbai. You can figure out this is a special act as the picture in the poster is bigger and also the name is highlighted. So don’t wait to book tickets because time and tide waits for no man because why would tide wait for someone like you? Just look at yourself in the mirror and then think are you worthy enough that someone should wait for you. Finally we won’t say goodbye because “Goodbye is the hardest thing to say to someone who means the world to you, especially when goodbye isn’t what you want.” Senti enough? Make us happy and come for the show.